But how about ‘The Future We Want’? One of the main challenges faced within international policy processes is that of striking a balance between traditional and novel approaches needed to address development challenges. Decision-makers face the daunting task of acknowledging lessons learned (from both success and failure), while at the same time adopting innovative strategies needed to achieve sustainable growth amidst an uncertain future. While the international landscape has witnessed significant changes since the 1992 United Nations Conference on Environment and Development (UNCED) that took place in Rio de Janeiro, Brazil, one of the most important global transformations relates to information. 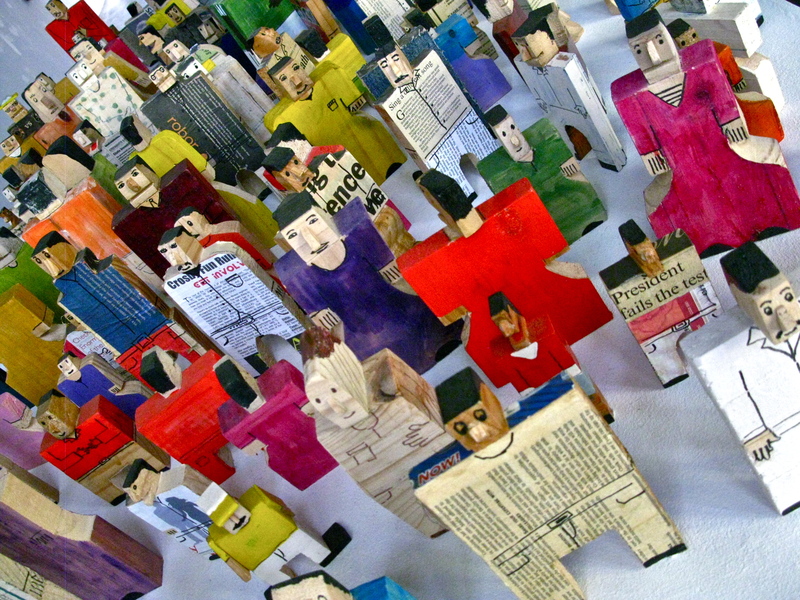 The widespread use and rapid development of Information and Communication Technologies (ICTs) such as mobile phones, radio and the Internet, have added new challenges and opportunities to the way in which information and knowledge are created, managed, disseminated and shared, and thus, their role is gaining momentum within decision-making processes. During the last decade, the developmental potential of ICTs has been increasingly acknowledged within international policy processes, mainly in regards to ‘traditional’ development issues such as governance and education. More recently, and thanks to the leadership of organisations such as the International Telecommunication Union (ITU), their role has also been acknowledged at high political levels in regards to environmental sustainability, climate change responses and ‘green growth’. Emerging initiatives, research and advocacy at the intersection of ICTs, environmental sustainability, climate change and development are evidencing the need to acknowledge and integrate the role of these tools as part of international strategies and agreements, such as those that will be discussed at the Rio+20 Conference (20th-22nd June 2012, Rio de Janeiro, Brazil). As a high level forum aimed at achieving ‘renewed political commitment for sustainable development, assess the progress to date and the remaining gaps in the implementation of the outcomes of the major summits on sustainable development’, and most of all, aimed at ‘gathering high-level political commitments towards new ways of addressing new and emerging challenges’ (UNCSD, 2012), Rio+20 will be an important forum to open new opportunities for innovation –including those opportunities supported and enabled by ICTs. The explicit inclusion of ICTs in the ‘zero draft’ of “The Future We Want” outcome document of Rio+20 constitutes an important step into that direction. The draft document acknowledges the role of these technologies in accessing and sharing information, providing new mechanisms for citizen participation, people empowerment and accountability, and it also calls for greater efforts to achieve universal access to ICTs. While the document is still in draft form, the acknowledgment of ICTs’ potential as part of Rio+20 outcomes would send a valuable high-level message to leverage and foster the adoption of more holistic and innovative approaches to sustainable growth with the help of these tools. 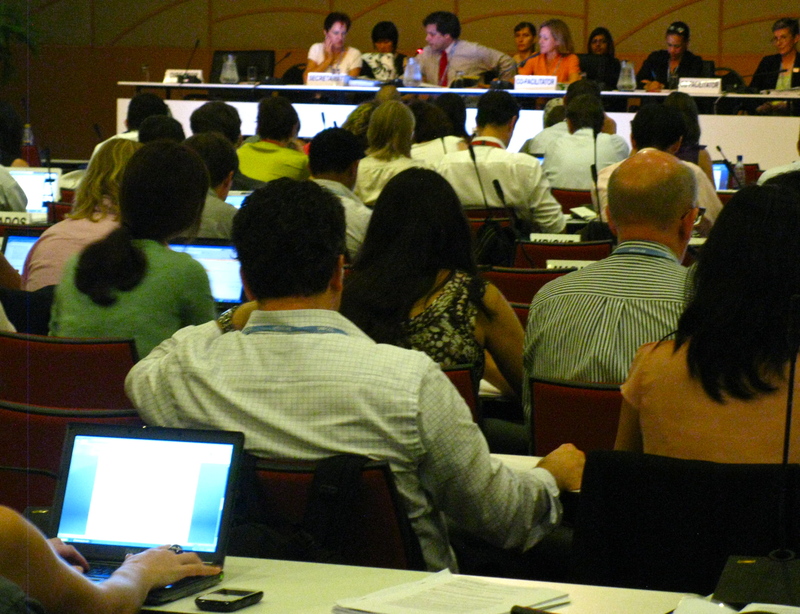 It would serve as an important precedent towards the explicit inclusion of ICTs in future policy processes and agreements at the international and national levels, particularly in regards to the achievement of ‘green growth’ goals and climate change responses (for example, as part of the negotiations of the UN Climate Change Conference COP 18, to be held in Qatar later this year). 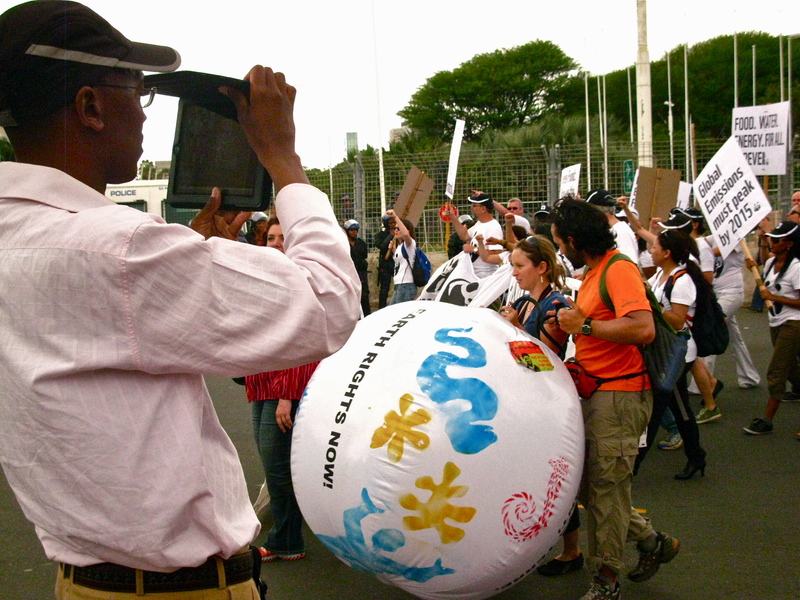 Experiences from the ICT for development (ICT4D) field can yield valuable lessons to be considered by policy and decision-makers involved in events such as Rio+20. A study of the failure risks for e-government projects conducted by Heeks in 2003 suggests that the underlying cause of project failure constitutes the oversize gaps between project design and on-the-ground reality. Similar ‘design-reality gaps’ can also be found between ICTs’ acknowledgement in international agreements, and the actual use of ICT tools as part of sustainable or ‘green’ practices in the field. Thus, ensuring that ICTs’ inclusion in international agreements translates into improved sustainable development practices, including climate change mitigation, adaptation and monitoring responses, requires going well beyond political rhetoric. Information Appropriateness: International agreements should to acknowledge the diversity of information needs and capacities that exists within and between developed and developing contexts. ICT-enabled information provision should be based on knowledge resources that are valued nationally and locally, and that can be appropriated and used within specific development contexts (e.g. through the provision of contents that respond to local priorities, delivered in appropriate formats and languages). Stakeholder Diversity and Participation: International agreements should acknowledge the variety of stakeholders and institutions involved in national/regional policy design and implementation, as well as the ‘disconnect’ that often exists between them. Agreements should foster the adoption of ICT- based mechanisms aimed at facilitating participative decision-making and multi-stakeholder coordination towards the implementation of climate change responses and ’green’ initiatives. Resource Allocation and Monitoring: International agreements should promote the implementation of bottom-up needs assessments aimed at identifying the resources needed to implement ICT initiatives in the field. This includes an assessment of the human, the technological and the physical resources required for ICT tools to be effectively accessed, appropriated and used at the local level, particularly within remote rural contexts. Agreements should include recommendations on the implementation of ICT-based resource monitoring and accountability mechanisms. Ensuring ICT Policy Coherence: International agreements should recognise the importance of fostering the role of development in ICT policy, but also the role of ICT in development policy (Heeks et al, 2010). This implies opening new channels of dialogue and discussion between stakeholders from different sectors (e.g. environment, ICTs, agriculture, industry), and supporting the role of local leaders that have a clear and credible vision on the contribution that ICTs can make to sustainable development. Avoiding or minimising the ‘design-reality gaps’ in this field requires building upon available experience (e.g. from the development, climate change and the ICT for development fields), while at the same time fostering innovation (e.g through new technological approaches to the green economy or to sustainable agricultural practices, or through ICT-enabled mitigation and adaptation responses). It implies finding a balance between current challenges and future threats, between emerging knowledge and traditional practices, between thinking ‘outside the box’ and drawing on lessons learned, and between utilising effectively available resources and identifying new ones. The ICT4D field has a rich body of knowledge and experiences that can serve as a solid basis to innovate and adopt sustainable development practices. The outcomes of the Rio+20 conference will tell us more about how (and if) international processes are managing to bridge the ‘design-reality gaps’, and will certainly stimulate new discussions on the role that ICTs can play towards a sustainable future. Institutions play a crucial role in the ability of vulnerable systems to cope with and adjust to change and uncertainty. They can either enable or constrain access to resources, markets, regulations, information, finance, and technologies, among others, which are key to overcome the challenges and benefit from the potential opportunities posed by climate change. Thus, institutions are key determinants of the way in which adaptation processes take place. Within vulnerable communities, the role of institutions such as local government agencies, farming associations and cooperatives, research organisations, schools and NGOs, contributes to shape adaptive capacities and actions. But in addition to the increasing impacts of climate change, developing country institutions are facing a rapidly changing communication landscape, where the widespread diffusion of Information and Communication Technologies (ICTs) such as mobile phones, Internet, radio and social media, is redefining the way in which information and knowledge are created, managed, disseminated and exchanged. How can ICTs help to strengthen the role of institutions within climate change adaptation processes? The National Adaptive Capacity Framework (NAC) developed by the World Resources Institute (WRI) provides a useful basis to explore this question. The framework identifies a set of key institutional functions (i.e. 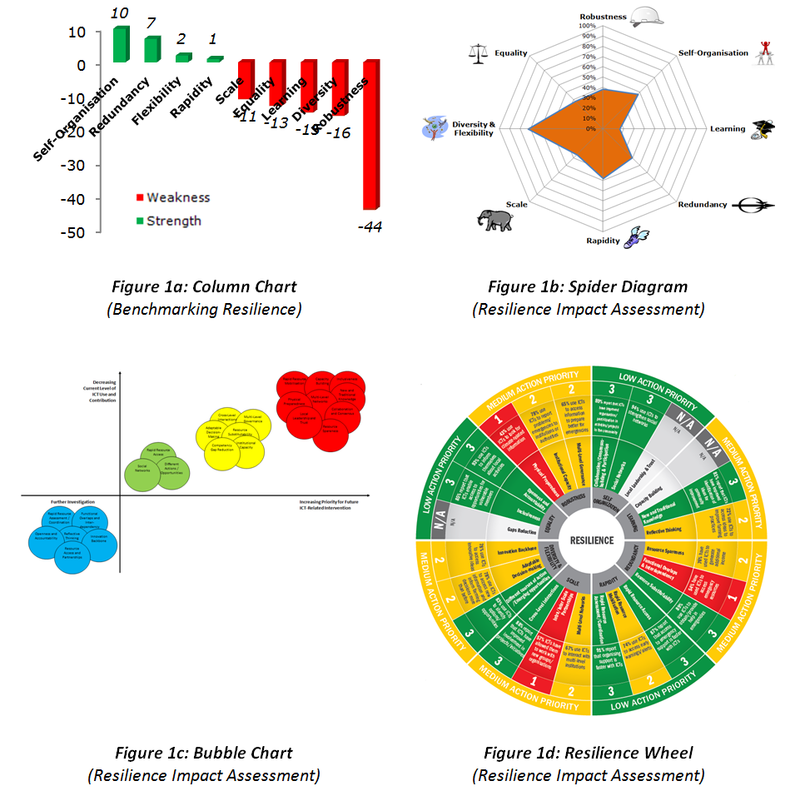 assessment, prioritisation, coordination, information management, and climate risk reduction) that countries will need to perform in order to adapt effectively to the impacts of climate change. 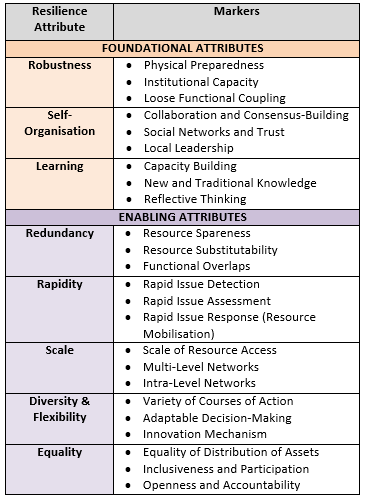 While other frameworks focus mainly on the availability of assets as indicators of adaptive capacity, NAC’s main contribution resides in identifying concrete institutional functions to be undertaken and assessed throughout the adaptation process. 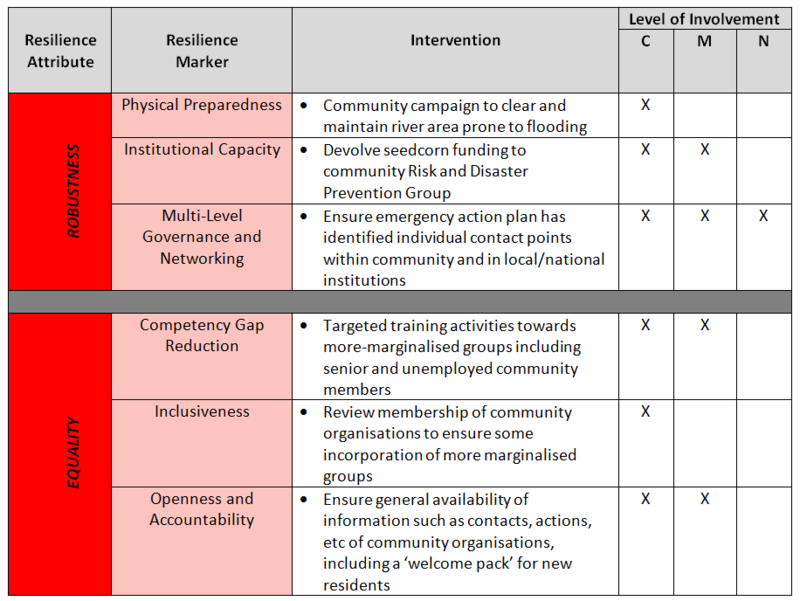 The set of functions proposed by the NAC can be used to identify ICT’s potential to strengthen the role of institutions towards the achievement of adaptation goals, as illustrated in Table 1. ICTs can support institutions in the process of assessing available information (e.g. regarding vulnerability, climatic impacts, adaptive practices) in order to inform decision-making processes. Tools such as Internet-based platforms, mobile phones, radio and e-mail can enable open consultation processes to assess vulnerabilities, identify priorities and adaptation practices, and systematise information gathered at the local level. 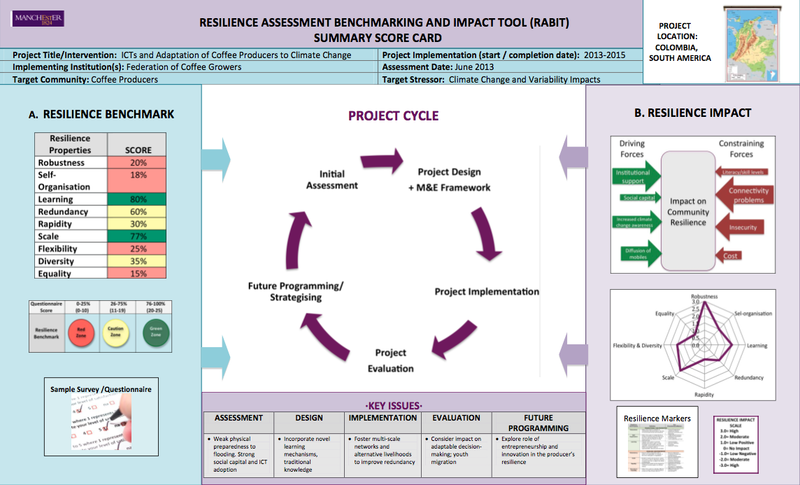 ICT-enabled models and projections can help institutions to identify and assess current and future climatic risks. ICTs such as Geographic Information Systems (GIS), remote sensing and aerial photography can help institutions to identify key issues, areas, sectors or populations that are most vulnerable to the impacts of climate change, in order to prioritise adaptation actions. The use of the Internet, Web 2.0 and social media tools (e.g. blogs, Facebook, Twitter) can support institutional efforts to engage a wide set of stakeholders in the identification of climate change related priorities, and to make the process more transparent. ICTs can play a key role in the articulation of adaptation efforts among institutions at various levels. The use of e-mail, mobile phones, online forums, discussion lists, wikis, and videoconferences, among others, can facilitate information and knowledge sharing, fostering horizontal coordination (e.g. among government agencies), vertical coordination (e.g. among Ministries and local institutions) and inter-sectoral coordination (e.g. 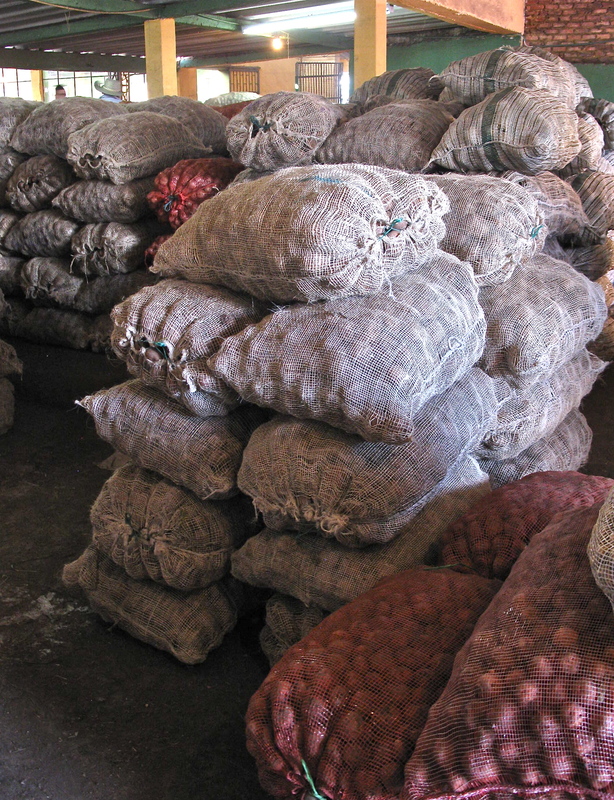 among markets and local associations). ICT tools can support institutions in the process of gathering, systematizing, analysing and disseminating climate change information. The Internet and online training programs can contribute to build institutional capacities and to access relevant information in the adaptation field, strengthening institutional decision-making processes. 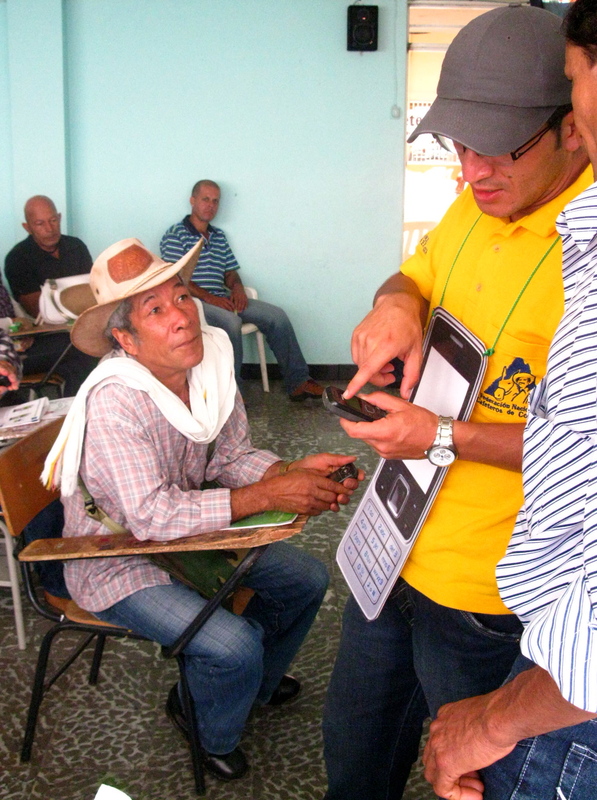 Widely spread mobile telephony can help institutions to collect and monitor data on local resources (e.g. 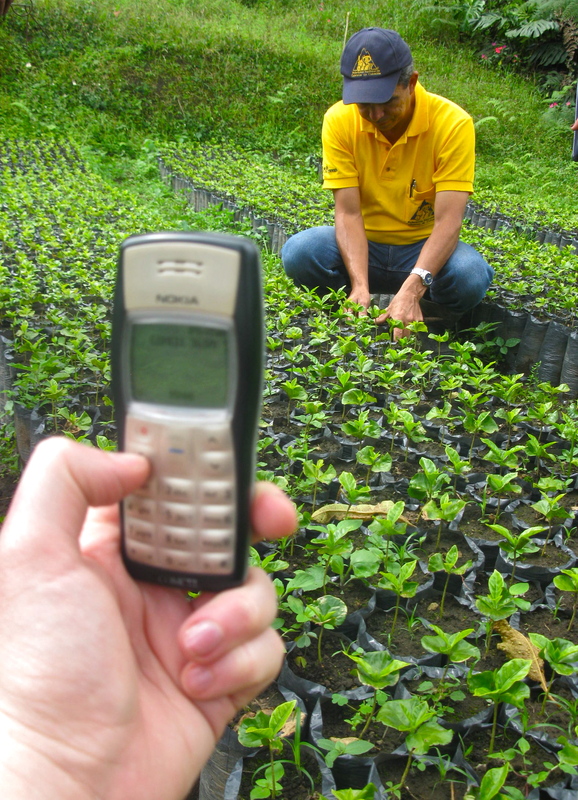 water levels, deforestation, pests and crop quality problems), while tools such as radio and participative videos can contribute to the delivery of non-technical information in user-friendly formats and local languages. Web 2.0 tools, including blogs and social media sites, provide new channels for the creation and dissemination of information and experiences among a broader set of users. ICTs such as remote sensing and GPS can support institutions in the identification of risks and development priorities within vulnerable areas (including at-risk infrastructure and natural resources). ICT-enabled climate change models and projections can help institutions to identify current and future risks, and engage a wide range of stakeholders in the participatory assessment of adaptation options (e.g. through online consultation processes, online surveys, synchronic and asynchronous interactions). Institutions can also use Internet based applications and participatory videos to document and draw upon traditional knowledge, integrating indigenous practices in the design of climate risk reduction strategies. Table 1. Linkages between ICTs and Institutional Functions Towards Climate Change Adaptation. 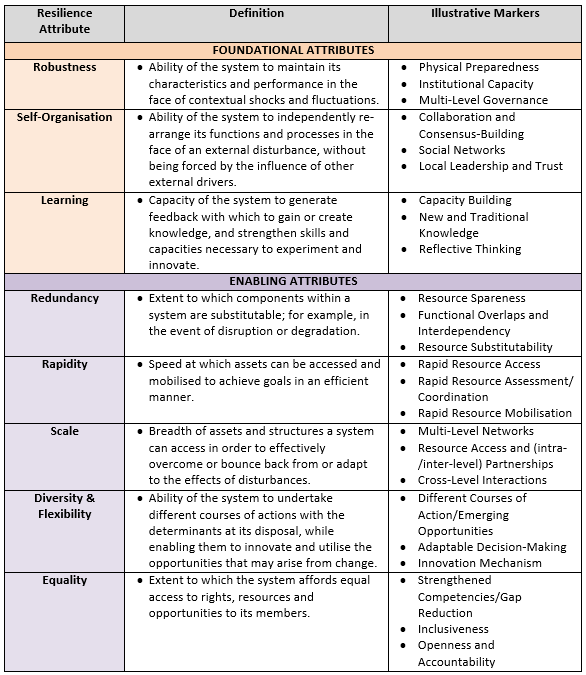 *Adapted from WRI (2009), ‘The National Adaptive Capacity Framework’, World Resources Institute, Washington DC. The role of institutions is one of the most critical components of adaptation processes, particularly within developing contexts. As this (non-exhaustive) table of examples suggests, ICTs have the potential to strengthen the role of institutions towards climate change adaptation through interventions focused on institutional assessments, prioritisation of actions, coordination of efforts, information management and risk reduction. The realisation of these institutional functions -or their absence- (e.g. the lack of vulnerability assessments or the lack of institutional coordination) can either enable or constraint the implementation of adaptation actions at the national, the sectoral or the community level. As experiences at the intersection of the climate change, ICTs and development fields continue to emerge, further research will be required on the use of these tools to strengthen the capacity of institutions in the adaptation field, particularly within vulnerable contexts. One of the most pressing challenges posed by climate change is that of ‘reaching out’ to those that are most vulnerable to its effects. There are many misconceptions about what ‘reaching out’ implies, as in practice it requires much more than making climate change information and knowledge publicly available through Internet-based tools such as Web portals and online databases. First, the need for a more holistic understanding of the information cycle, including the creation, acquisition, assimilation, management, dissemination and ultimately the USE of climate change information, particularly within vulnerable contexts. Beyond the provision of climate change information, its necessary to consider if/how the information is being integrated -or not- into decision-making processes at the local, regional or national levels. Second, the need to identify, adapt and adopt innovative approaches for the effective delivery and the local appropriation of climate change messages, and most importantly, for the translation of information and knowledge -both new and traditional- into climate change practice. Within vulnerable communities, one of the most effective mechanisms to disseminate climate-related information among broader audiences is based on the role of knowledge brokers or human infomediaries (e.g. 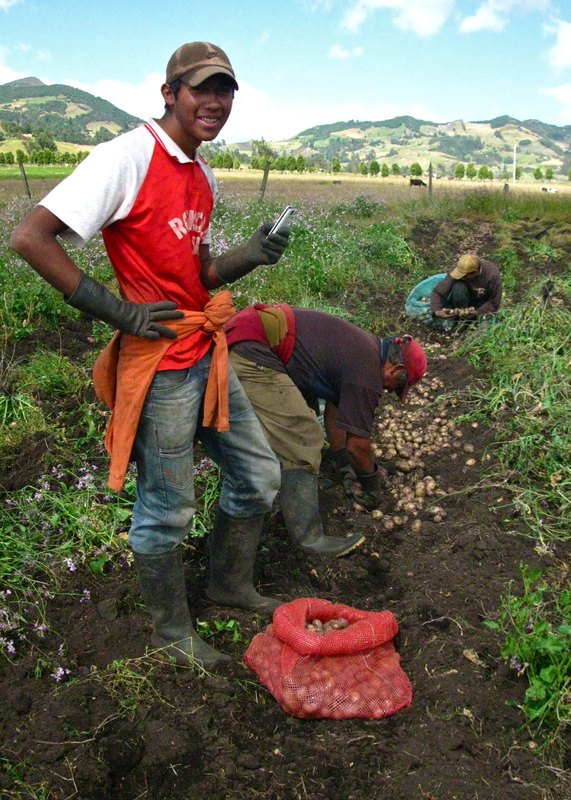 local agents such as agricultural extension officers, trained youth, or local leaders, among others). Their brokerage or knowledge intermediation role involves bringing people together, identifying local needs and transferring information and knowledge more effectively. It is an active process that involves exchanges between people. Thus, knowledge brokers play a crucial role in the development of climate change strategies, in the adoption of adaptation and mitigation practices, and in fostering processes of local change and innovation. 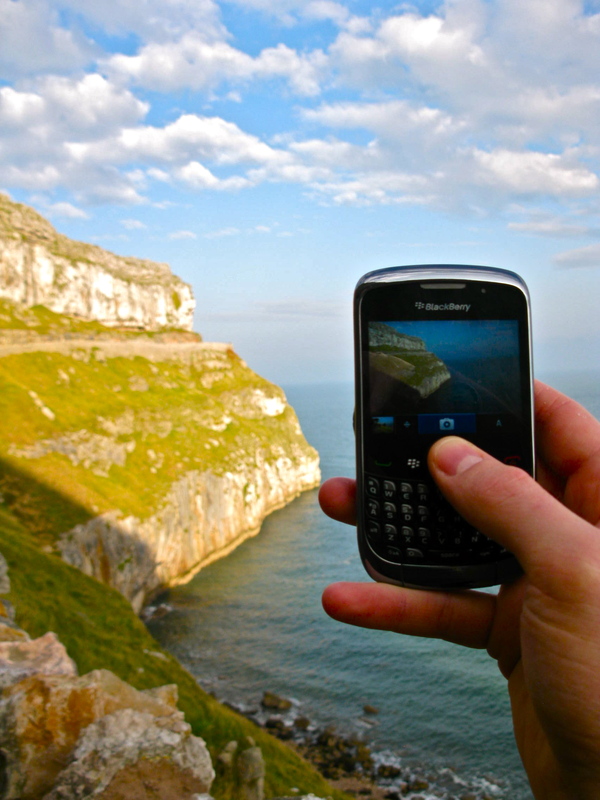 The increasing availability of Information and Communication Technologies (ICTs) (such as mobile phones, community radios and Internet based tools) is posing new opportunities to strengthen the role of knowledge brokers in the climate change field, while enabling ‘hybrid’ approaches to the creation, delivery, appropriation and use of information and knowledge within vulnerable communities that are at the forefront of climate change impacts. By helping knowledge brokers to raise awareness on both generic and context-specific climate change issues (e.g. through radio programmes, Internet portals, community videos that illustrate local climatic impacts, or helping to access and analyse experiences from other communities that are available in the Internet). By helping knowledge brokers to engage diverse stakeholders in the design of climate change strategies and local adaptation actions (e.g. 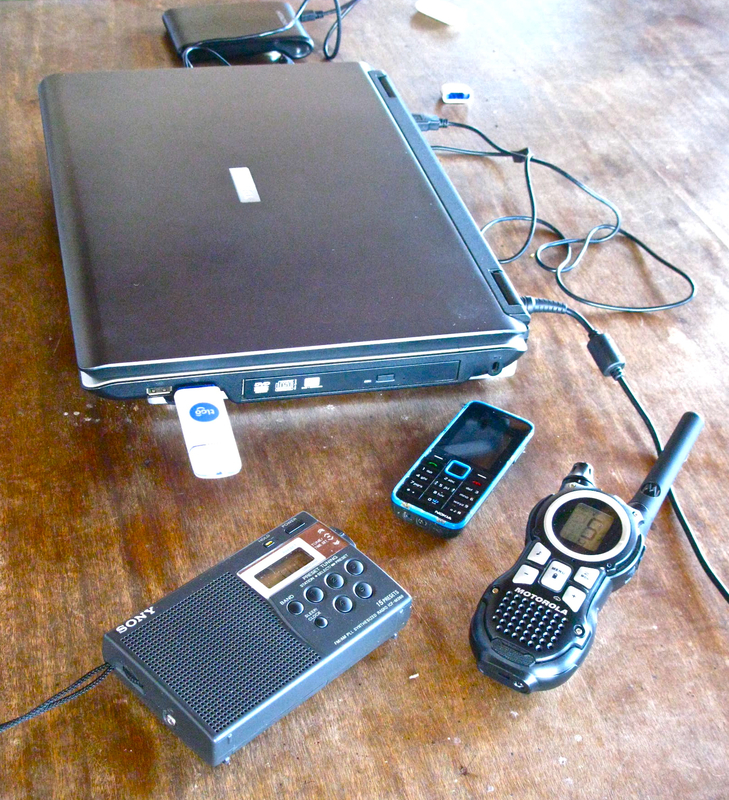 using mobile phones, SMS, social media, or community radio messages to disseminate local initiatives, announce and invite remote communities to participate in training sessions or meetings). By supporting knowledge brokers in the identification of local priorities, climate change vulnerabilities and viable responses (e.g. using remote sensing and GIS technologies to map local risks and analyse future climate change projections in order to undertake appropriate adaptation measures). By widening the set of informational and human resources that knowledge brokers can access in order to research or verify information, and solve queries from local actors (e.g. using telecentres to contact researchers, experts, or other knowledge brokers that can help to solve questions or share best practices in regards to the effects of climate change on local livelihoods, or using Internet or mobile-based tools to solve questions related to the impacts of climate change on local crops, fertilization practices or water management). By helping knowledge brokers to share and discuss lessons learned (e.g. complementing field visits and practical demonstrations with online training modules, radio talks and participatory videos, in order to illustrate and reinforce the points made through user-friendly image and sound based resources- particularly relevant among populations with low-literacy rates). By complementing the efforts of knowledge brokers towards local empowerment and capacity building through training in the use of ICT tools (e.g. Internet and e-mail use to access relevant information, or to participate in online training programmes). Experiences from the climate change field suggest that hybrid approaches that combine traditional knowledge brokering and the use of ICT tools can help to reach more effectively communities that are at the forefront of climate change impacts. Providing content that is locally appropriate and relevant (e.g. based on local needs and vulnerabilities), presented in user-friendly formats and non-technical language. Fostering the creation and sharing of information that is not limited to climate change projections and forecasts, but that includes mechanisms to take action or guidance on how to use the information provided (e.g. availability of credit programs, local stakeholders groups, associations and other support mechanisms for climate change actions). Going beyond the provision of access to new resources (e.g. through online portals or databases), to building local capacities to interpret, analyse and use those resources within local climate change strategies. Promoting inclusiveness in the delivery of climate change information, by considering ways in which both new and traditional knowledge can be accessed and used by the most marginalised, and often excluded members of the community (e.g. women, elders, children). Building trust and credibility on a continuous basis, including the local analysis and discussion of climate change information –i.e. of its local repercussions, challenges and opportunities- among a varied set of stakeholders. Ensuring the presence of two-way information flows, considering that ‘reaching out’ is about providing new information and knowledge as much as it is about receiving and learning from locally-based, traditional information sources. Local knowledge brokers are key enablers of transformation and change within vulnerable contexts. They help to ensure a ‘last mile’ approach in the delivery of climate change information and knowledge, and contribute to develop local capacities to use and adapt new and traditional resources. Their role is particularly relevant within developing country communities given the complexity of climatic impacts, the importance of trust, personal interaction and oral traditions, the diversity of climate change audiences, as well as the prevalence of multiple constraints to access and analyse climate related information. While the rapid diffusion of ICT tools is enabling new approaches to the delivery, appropriation and use of climate change information and knowledge, the role of human infomediaries or knowledge brokers is irreplaceable, and it should be considered as a key component of holistic approaches in the climate change field.